Here are some blockchain based secure photo storage services. Using these websites, you can store your photos in encrypted form securely on an online storage for free. You can store your important photos on these websites and download them back when you need them. These websites use Blockstack as the service behind the scene to handle the encryption and storage handling part. You just have to sign up for a free account and then just upload all your photos by simple drag and drop operations. 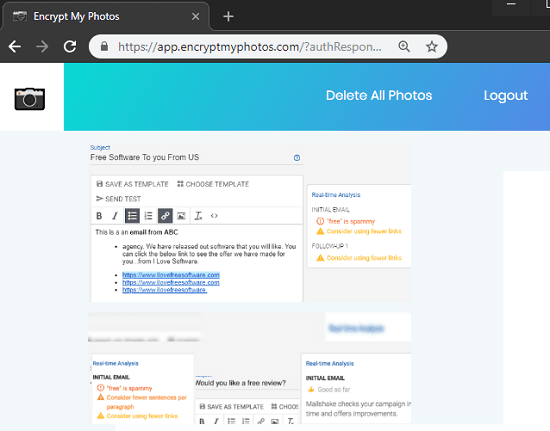 In this post, I will also talk about a handy method to keep your photos secure and encrypted without any blockchain based service. 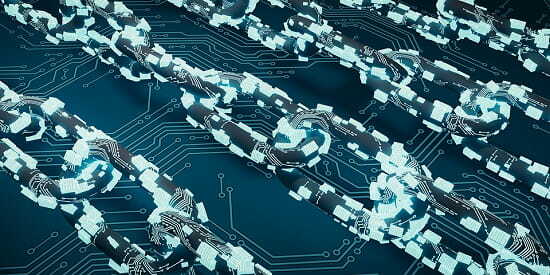 Blockchain technology is going popular these days and a lot of other applications based on it have already released. Previously we have covered a blockchain based password manager and now in this post, I will talk about secure photo storage services that use Blockchain technology to encrypt your photos. You can easily upload your photos on these and download them later. However, do not use these as a normal photo storage service as it is specifically meant for backing up important and confidential photos. If you don’t trust other photos storage services then you can use these. Encrypt My Photos is a simple website which is Blockchain based and you can easily upload your photos there from your PC. Here it has a very simple interface where it saves all your photos and all data is encrypted. 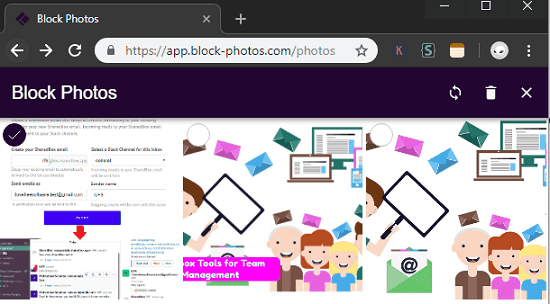 To use it for saving your photos you just need a Blockstack account and then you can sign in the web UI and upload your photos. All the photos that you upload on the website has a unique link (Base64 encoded format) that you can share with others as well. Currently there is no mobile or desktop app for this to upload photos but I hope there will be one in the future. Use the above link and then simply create a free account on Blockstack to start using the service. After creating an account, simply start uploading your photos. Uploading photos there is very simple; just use drag and drop operations to upload photos in the vault. And same you can do when you want to download them. However, here you will not be able to download photos in bulk. Currently there is no desktop or mobile as well app so you will have to use its online version to upload photos and retrieve them. Block Photos is another Blockchain based online secure photo storage. It also uses the Blockstack to handle the security and storage part. You just need a Blockstack account to store your photos here. To upload your photos, you can simply use the drag-drop approach. And you can easily download the photos that you upload here. There is also one advantage of using this service that it has its mobile app. If you want to upload photos here from your PC then you can use the online hosted version of this service. Otherwise, there is an official Android app for this that you can use to upload your important photos from your phone in a secure environment. So, use its Android app or the online version to upload photos. You can use the above link to sign up for a free account. And once you reach the web UI, you can start uploading photos there. If you are on PC then just select your photos that you want to securely backup and then simply drop them on its web interface. Also, you can easily upload photos to the website using the Android app that you can get from here. So, secure your photos on this blockchain based photo storage service in the way you want. Encrypto is not an online service but a tool. Using this tool, you will not have to worry about your important photos if you put them in any other cloud storage even if that is not blockchain based. 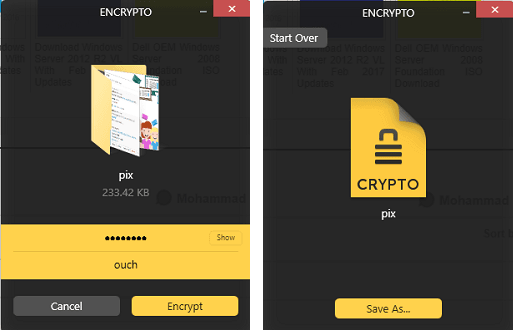 Here using this tool, you can encrypt your photos before actually uploading them. So it doesn’t matter if you keep your photos on a secure or less secure cloud storage; they will always be encrypted. It uses a specified paraphrase to encrypt a single or a folder full of photos. It creates a single encrypted file that you can put on any cloud or online service without any fear. However, you will need this tool for the decryption of the file that you encrypted in the first place. This tool is available for MAC and Windows. You can download it using the above link and then simply install it. After that, just run it and then select the photos that you want to encrypt before uploading them to any cloud or file sharing service. And when you need them back, you can simply download the file and then decrypt it using the same password that you used for encryption. Using this tool, you can encrypt a single photo or a complete folder of photos to upload to a cloud or file storage provider. These are the best free online Blockchain based secure photos storage services that you can use. And currently they are only one of their kind. Apart from these services you can use Storj but there you will have to pay a little fees for keeping your data persistent. But for free alternatives, you can use the two websites that I have listed above. And if any of them don’t work for you then you go with the manual decryption process using the Encrypto tool that I have added in the above list.